Some say that the best beauty salon in Padstow is Revive Beauty Clinic with a range of high-quality Skin & Hair beauty services including facials, Brazilian waxing, and eyelash extensions. Visit now! 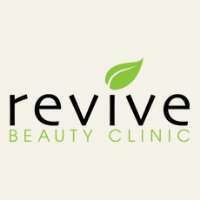 Revive Beauty Clinic is a premier beauty clinic in Padstow that specialises in a wide range of high-quality beauty services including facials, teeth whitening, spraytan, eyebrow microblading and much more. We bring a unique experience to each of our valued clients. We understand that our business relies purely on your support and satisfaction. All our waxing treatments, including our Brazilian, use the highest quality of organic strip and hot wax to deliver gentle and effective hair removal our wax is never recycled and we always ensure all sensitive areas are only treated with hot wax. At Revive Beauty Clinic we offer the highest quality spray and sunless tanning solutions with NO ORANGE TONES for a completely natural and sun-kissed look. We know that everyone's skin time is different that is why we carry a range of solutions and our technicians will assess your skin type to decide which will work best for you. We offer you a clean friendly environment formulated to create a pleasurable experience each and every time you visit us. You will be sure to find a suitable treatment to suit your individual requirements or simply surrender to your Beauty Therapist and with our expertise, we will recommend the perfect treatment or product to suit your needs. Looking for high-quality beauty services in Padstow? Visit Revive Beauty Clinic today!